This 2 story home South of Ventura Blvd. is a great value. Kitchen opens to family room and attached lanai creating lots of living area. Living room features a rock fireplace. Downstairs master plus a study. Upstairs are 2 bedrooms with built-ins and a very large deck to enjoy area views. Rear yard has a huge approx. 4 car size detached garage and storage room. Sold AS-IS. 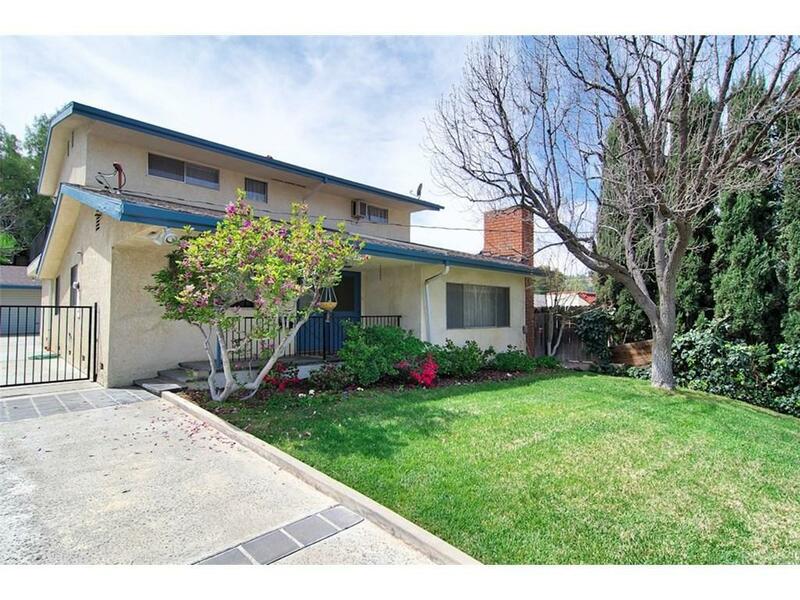 Sold by Gianna De Fonte BRE#00703392 of White House Properties. Listing provided courtesy of Sean Mc Glynn DRE#00703392 of White House Properties.